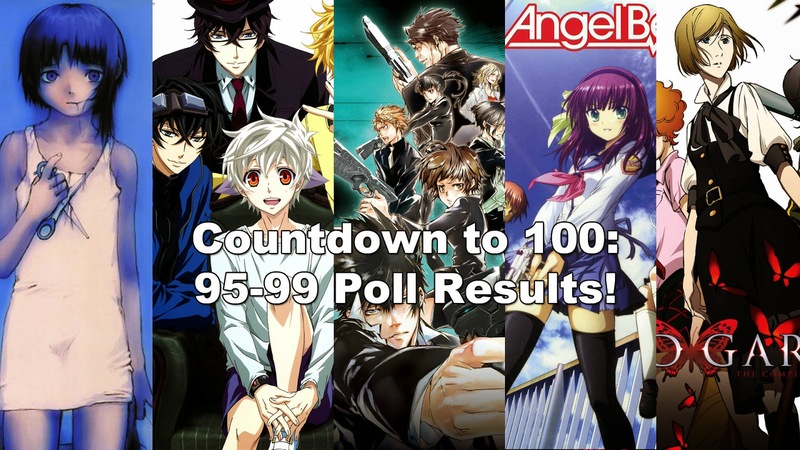 Lilac Anime Reviews: Countdown to 100: The Results!! Countdown to 100: The Results!! Ok, yes, technically I'm supposed to have the 100th review up today. However, I've been in the middle of my comprehensive exams so I haven't had the time to finish putting the review together. Don't worry, I'm not going to let you go empty handed this week! Instead, I have the results from the 95 to 99 poll that I had recorded prior to my comps and quickly edited together last night! How did all the entries do? Well, stick around and I'll tell you!